KENT, Wash. -- Authorities are warning pet owners about tennis balls filled with firecrackers or other explosives ahead of the Fourth of July weekend. Police in Kent, Wash., shared a photo and explained how to identify the homemade bombs in response to a question at a recent community meeting. 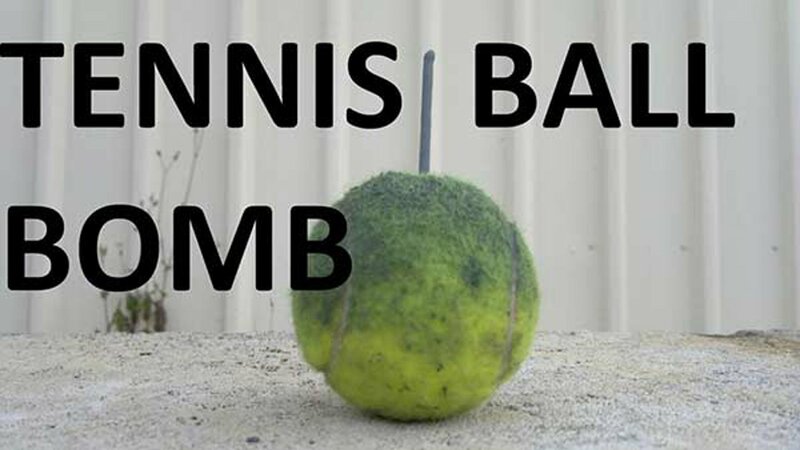 "A tennis ball bomb is very easy to identify. It is a real tennis ball that has some sort of fuse sticking out of it. Here is a picture of one. The tennis ball could also be completely wrapped in duct tape with a fuse sticking out," the Kent Police Department wrote on its Facebook page. In February, a Washington man discovered several homemade bombs - including one tennis ball bomb - in a park, KING-TV reported. It's not clear if any tennis ball bombs had surfaced recently. The tennis ball bombs can pose a risk to pets as well as people. Anyone who sees a tennis ball that appears to have been tampered with or has a fuse sticking out of it should contact 911.